Amogh Chakravarti is a Partner in Dentons Rodyk’s Litigation and Dispute Resolution and Arbitration Practice Groups. Amogh undertakes a broad range of work in the areas of commercial litigation and international arbitration, with a focus on construction and infrastructure matters, as well as criminal defence and investigations. In course of his practice, Amogh has advised and acted for a range of clients, including multinational corporates and high net worth individuals in complex commercial litigation and arbitration matters. Notably, Amogh acted for A*STAR, Singapore’s research and development agency in the widely publicised coroner’s inquiry into the death of the American researcher Dr Shane Todd in 2013, as well as the Committee of Inquiry proceedings into the cyber-attack on Singapore Health Services in June 2018. In 2016, Amogh undertook a one-year fellowship with the Law Society of Singapore’s Criminal Legal Aid Scheme (CLAS), a pro bono initiative which provides criminal legal assistance to impecunious accused persons who are unable to engage a lawyer. During his stint at CLAS, Amogh advised and represented accused persons facing a range of criminal charges, including commercial offences, in the State and Supreme Courts. Amogh continues to be an active volunteer with CLAS and other pro bono initiatives. Amogh graduated from the National University of Singapore in 2011 and was called to the bar in July 2012. Publicly listed company: Represented and acted for a publicly listed main contractor in arbitration proceedings under the SIA Rules against a developer of a residential project in Singapore prestigious District 9 area. Contractor: Represented and acted for a major local contractor in adjudication proceedings and arbitration proceedings under the SIAC Rules against a sub-contractor in respect of a high-rise commercial development in the CBD. Contractor: Represented and acted for a main contractor in adjudication and SIA and SIAC arbitration proceedings against a sub-contractor in respect of a high-rise commercial development in the Central Business District. Litigation arising from the adjudication was reported at AES Façade Ptd Ltd v Wyse Pte Ltd  SGHC 171. 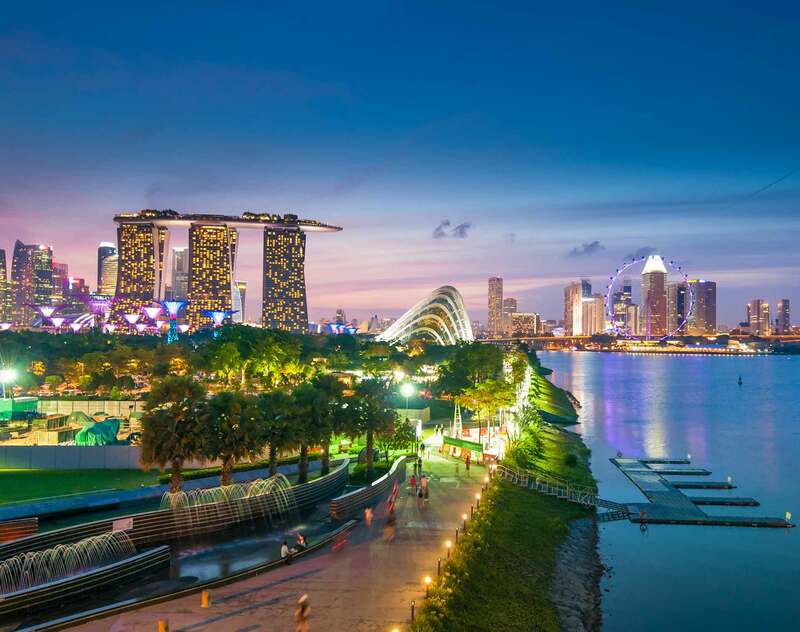 Contractor: Assisted the local subsidiary of a German engineering company in adjudication and related proceedings against a local contractor pertaining to a high-end resort establishment in Singapore. Contractor: Advised an ACMV sub-contractor in respect of claims against the main contractor / employer in a large retail/commercial/residential development in the east of Singapore. Contractor: Advised a tunnelling sub-contractor in respect of claims against the main contractor / employer in large retail/commercial/residential development in the east of Singapore. Integrated Health Information Systems: Acted for the central IT service provider for public healthcare in Singapore in the Committee of Inquiry convened to investigate the cyber-attack on Singapore Health Services. A*STAR: Acted for Singapore's research and development agency in the coroner's inquiry into the death of American researcher Dr Shane Todd. Major international bank: Assisted in an internal investigation into the conduct of senior staff. Major international bank: Assisted in an internal investigation relating to disclosures in the context of an upcoming bond issuance. Confidential client: Represented and acted for the manager of a securities trading business facing multiple charges under the Securities and Futures Act. Confidential client: Represented and acted for a large ship-owner in proceedings under the Workplace Safety and Health Act relating to the death of a former employee. Confidential client: Acted for the largest local producer of chlorine and related products in proceedings under the Workplace Safety and Health Act relating to a chlorine leakage incident in Tuas. Confidential client: Representing and advising employees of a major local contractor facing charges under the Penal Code for causing death by a rash act. Confidential client: Represented and acted for a medical doctor in appeal proceedings before the High Court in respect of charges under the Poisons Act and Medicines Act: Tan Gek Young Public Prosecutor and another appeal  SGHC 203. Pro bono client: Represented and acted for an accused facing a charge of culpable homicide not amounting to murder on a pro bono basis: Public Prosecutor v P Mageswaran  SGHC 307. Private wealth client: Successfully acted for the settlor of a 50-million dollar trust in a claim brought by one of the beneficiaries against her, her children and the private bankers: Kuntjuro Wibawa v Harianty Wibawa and others  SGHC 109. Multinational Corporation: Represented and acted for a multinational pharmaceutical producer in expedited international arbitration proceedings under the SIAC Rules against a joint venture partner in India. Multinational Corporation: Represented and acted for a multinational electronic components manufacturer in international arbitration proceedings under the SIAC Rules against a joint venture partner in Vietnam. Multinational Corporation: Represented and acted for an Indian tech service provider in ad-hoc international arbitration proceedings against an MNC licensee. Multinational Corporation: Represented and acted for the Singapore branch of a Korean MNC in the business of the supply and installation of power cables, auxiliary cables and accessories in High Court proceedings relating to 2 sub-contracts. Multinational Corporation: Represented and acted for a multinational electronic component manufacturer in High Court proceedings against a regional distributor.